Get ready for heartwarming adventures when the brand new series CARE BEARS™ & COUSINS: TAKE HEART – VOLUME 1 arrives on DVD (plus Digital) and Digital HD November 1 from Lionsgate Home Entertainment. After many years away from Care-a-Lot, Care Bears Cousins finally return home in Care Bears™ & Cousins: Take Heart – Volume 1. In this brand new series, debuting for the first time on DVD, the Care Bears reunite with their cousins to retrieve the Cousins’ stolen ship. 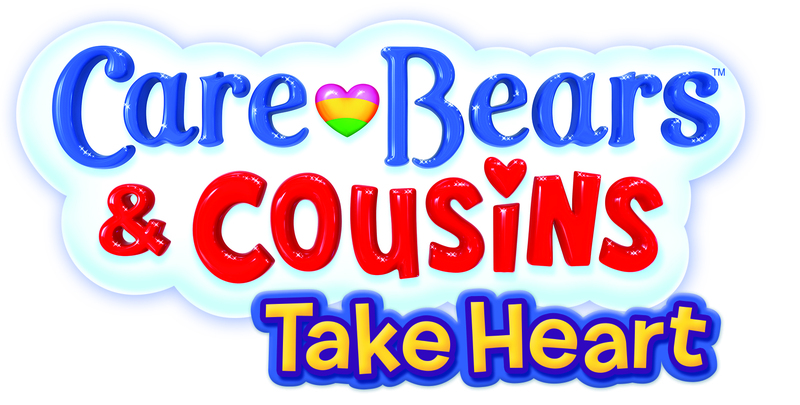 Care Bears™ & Cousins: Take Heart – Volume 1 will spread caring and sharing on DVD for the suggested retail price of $14.98. Title Copyright: CARE BEARS™ and related trademarks © 2016 Those Characters From Cleveland, Inc. American Greetings with rose logo is a trademark of AGC, LLC. Be sure to grab AGKidzone.com‘s free Care Bears printables and activities on their activity page by clicking the image below to help celebrate the release of CARE BEARS™ & COUSINS: TAKE HEART – VOLUME 1. You will find coloring pages, Bingo,Treat bag crafts, Origami Care Bears, activities and more!